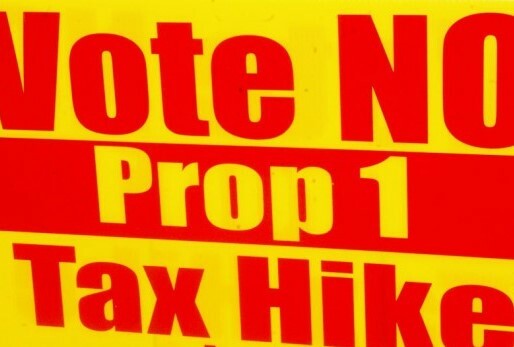 COLUMBIA, Mo 11/3/17 (Op Ed) -- The usual suspects want to inflict new taxes on Columbia and Boone County with two "use tax" propositions — Prop 1 for the city and Prop U for the county -- on the ballot Tuesday. Many people are confused about the use taxes. The use taxes would apply to out-of-state, mostly online sales at the same rate (in the beginning) as city and county sales taxes. Once a new tax has been established, however, city and county officials will attempt to raise the tax rate. Local officials claim we “need” use taxes because sales taxes do not bring in enough revenue. Why don’t they consider the alternative: cut spending? Requiring sellers to collect online sales taxes would require Federal legislation, not a county or city referendum. Customers, therefore, are expected to self report the new use tax by filing a form with the Missouri Department of Revenue, an honor system that penalizes honest people. This self-reporting system is also another way for Federal, state, city, and county government to collect your email address, credit/debit card number(s), even personal information about what you buy, tantamount to a search without a warrant. Warrantless searches violate the spirit of the U.S. Constitution’s Fourth Amendment and the letter of Article I, Section 15 of the Missouri Constitution, an amendment voters passed overwhelmingly in 2014 that includes electronic communications and data. Finally, Missouri is not a low-tax state. A Forbes list from March 21, 2016, “The Best And Worst States For Taxes In 2016,” ranks our state 22nd from the top in total state and local tax burden. That leaves 28 states with lower taxes. If you live in Columbia, you dwell in one of Missouri’s most ruthlessly taxed communities. School districts will soon return with more property tax hikes; the Columbia city manager is pushing a new property tax for more cops; Boone County just renewed its road and bridge tax; and in recent years we've seen new local taxes to expand County office space; fund mental health care; build a 911 center; and expand our parks. Vote NO on Boone County Prop U and Columbia Prop 1 this Tuesday, November 7.